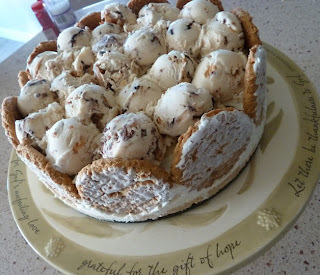 Inspiring Ideas with artist Jeanne Winters: Ice Cream Cake Recipe ... no chocolate? 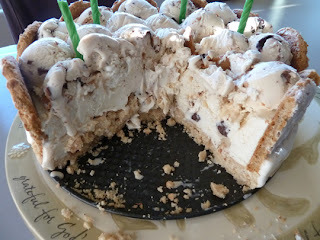 Ice Cream Cake Recipe ... no chocolate? 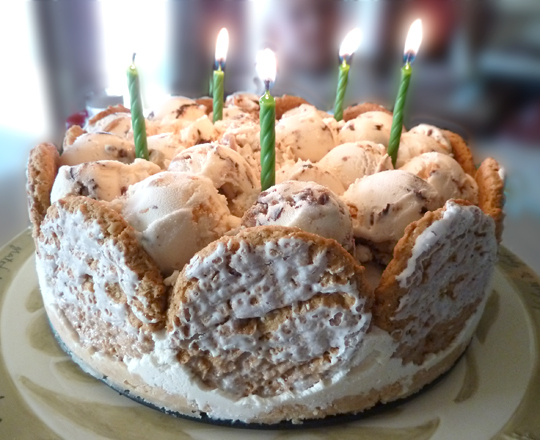 My son requested another ice cream cake for his birthday this year ... but "no chocolate!" Fill the bottom with softened ice cream, mushing it in and leveling – we used a vanilla with peanuty pretzel things in it. Pop into the freezer to set up for about 15 minutes, depending on how soft you had it. Then use a second flavor to scoop into balls for your top layer. Here he chose peanut butter cup. Wow, that looks SO good! Thanks for sharing. Found you from SITS, have to say, that looks amazing--yum! Wow, it looks so unique! I love those cookies and ice cream, maybe on the next day I’ll try this out making a castle style only using cookies and adding a Glaze of chocolate at the top of ice cream. Thank you. The cake looks divine! 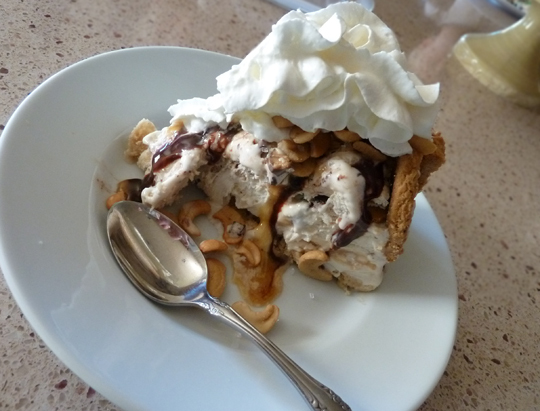 Thank you for sharing this wonderful recipe with us! That looks absolutely delicious. I would need some sort of chocolate toppping.